Posts: 2 As one of many people who went to Glastonbury last year and who's registration details wasn't stored I feel let down and upset that I have just bought 3 tickets for my friends who didnt want to go last year and I havent got one. I feel I am being penalized for turning up last year when 'no-one' thought it was worth going to, what with the weather and line up issues. I hope that the Glastonbury organisers noticed that a fair few people are having this problem and open registration as soon as possible so we can try and buy a ticket before these 100k sell out. I cant cope with waiting til April to know if I can get a ticket. With so few on sale then AND the lineup almpost complete there will be a very slim chance of getting a ticket then!!! there was the chance to register for 2009 prior 2 tix going on sale today but you may not have known about it. 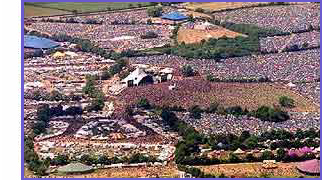 keep an eye on this site, the official site http://www.glastonburyfestivals.co.uk/ and other forums (efests etc.) for details to stay ahead of the game. My mate has made a similar mistake, I am sure you can register Monday AM, hopefully the link to buy the tickets is still open, then see if you can at least pay for a deposit. Posts: 1 I've had the same problems with my kids reg details. Posts: 2 the only mistake I made was not checking my registration was ok. It has happened to too many people to have been everyones mistake. it must be a computer problem with seetickets or Glastonbury themselves. I believe the official story is people forgot to tick the future registration box, whether that's true or not is beside the point as people have missed the chance this time to get tickets. However more than half of the 50k are still on sale & there should be plenty come April as it seems the global recession has hit Glastonbury.